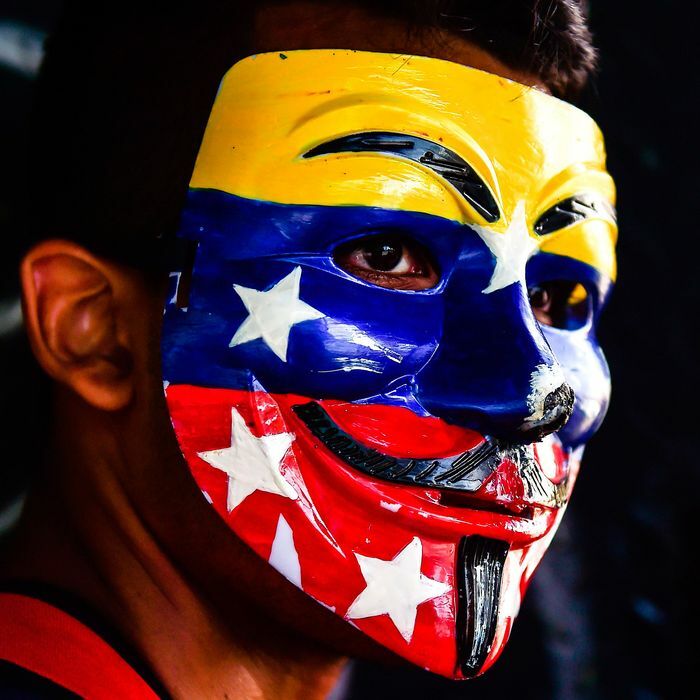 An anti-government protester in Caracas. The Trump administration on Thursday announced new sanctions on Venezuela, aimed at weakening President Nicolas Maduro as he consolidates power amid economic upheaval and violent protests in the South American country. The sanctions bar Americans from new financial transactions with Maduro’s government and Venezuela’s state-run oil company, Petróleos de Venezuela SA. “These measures are carefully calibrated to deny the Maduro dictatorship a critical source of financing to maintain its illegitimate rule, protect the United States financial system from complicity in Venezuela’s corruption and in the impoverishment of the Venezuelan people, and allow for humanitarian assistance,” the White House said in a statement. The move comes as Maduro endures global criticism for his authoritarian streak. Earlier this month, a new 545-member legislative body was installed after an election rife with alleged fraud. Last week, the new body wrested control from the opposition-controlled National Assembly, giving Maduro a new assembly comprised completely of supporters. But there is a humanitarian crisis in the nation of nearly 32 million, thanks largely to the economic devastation brought on by falling oil prices and production. Since 2014, the country’s economy has shrunk by more than a third. Food shortages and blackouts have become common for Venezuelans, some of whom have resorted to stealing and eating zoo animals to survive. On Friday, Maduro accused congress president Julio Borges of being the “mastermind” behind the sanctions. “You’ve got to be a big traitor to your country to ask for sanctions against Venezuela,” he said.